In my final two weeks in Taiwan, searching in darkness for the true light of tea, I found such a beacon of light – and I went towards the source. I arrived at the Tea Sage Hut. 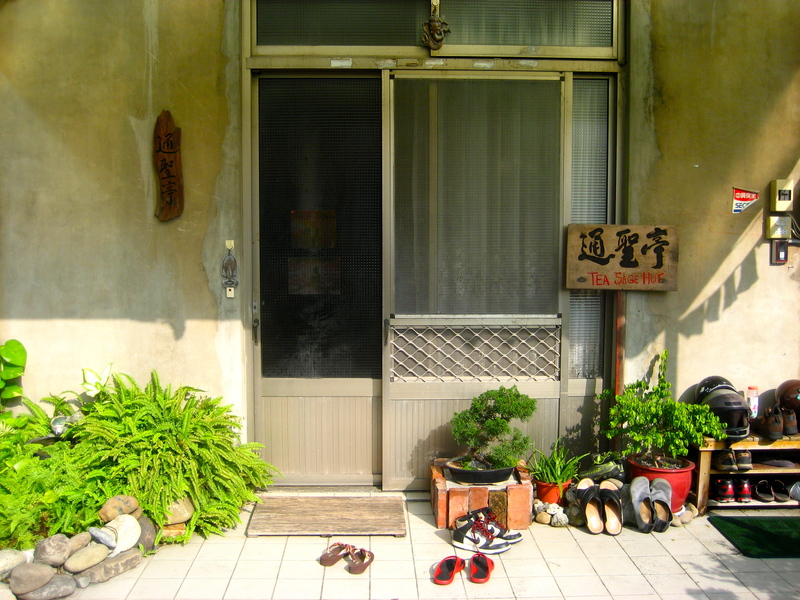 Here in Miaoli, Taiwan, is a center of tea wisdom, expressing the communion of Tea and Spirit, Cha and Dao. This center is called the Tea Sage Hut. 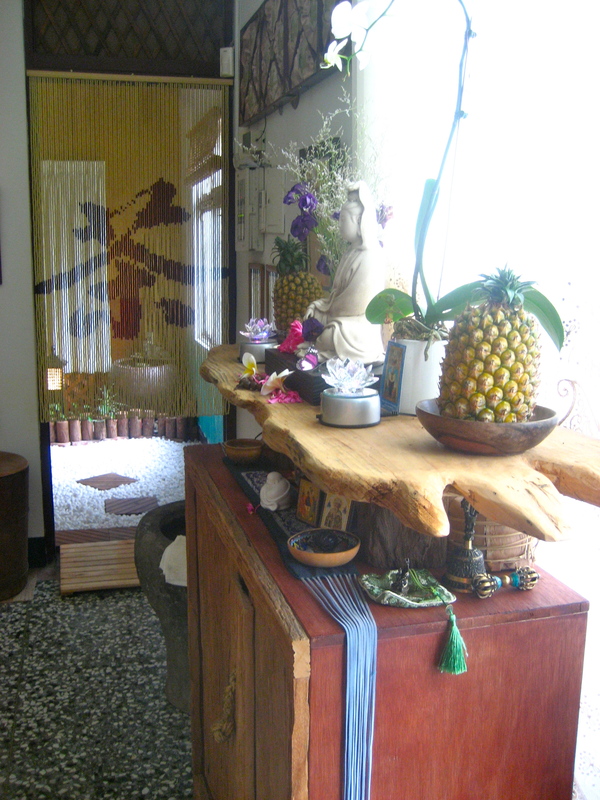 It is a space dedicated to community, connection, sustainability, the environment, development of skill, unconditional kindness, mindfulness, laughter, meditation, and awakening to harmony through the wisdom of tea and service. It is here at this wayside hut where enthusiasts of Life, Spirit, and Nature (and absurdity!) can honor a bowl of tea in a constructive environment; where tea can be shared in its highest regards; where we can bestow upon it the respect it deserves; and where we can walk the Great Way, guided by the wisdom of the Leaf and the teachings of the Dao. Though, not at the expense of healthy humour and freedom to express yourself. Seriousness has its place, as does hearty laughter, which we thoroughly employ here at the hut! It’s quite special: the way tea is sourced, prepared, and served here. The water comes from a spring in the mountains. The teacher and the students gather the water once each week, hiking to the source. 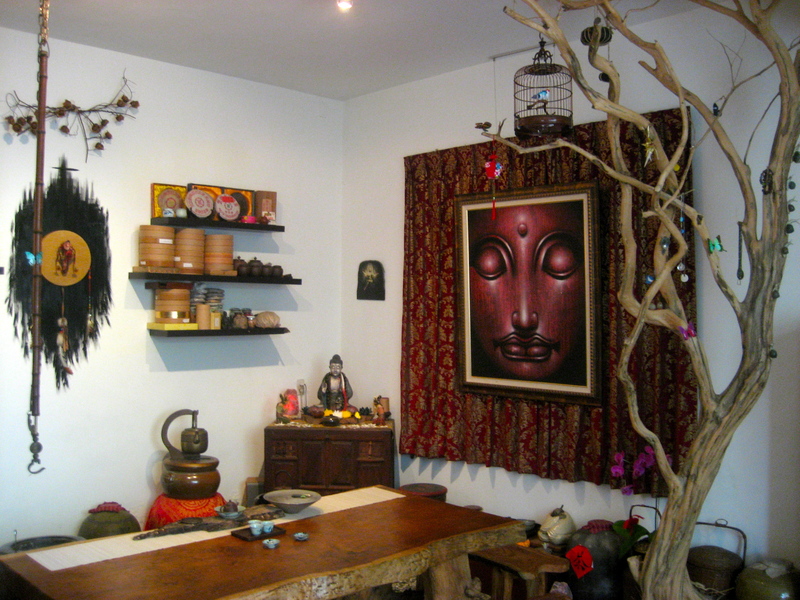 Back in the hut, the water rests in a clay pot in the meditation hall, receiving the energy of Metta generated there. After being carefully and mindfully ladled into a tetsubin, the water is patiently brought to boil using coal and/or electric element. I’ve read about the effect water can have on a cup of tea, but only after coming here do I experientally understand the significance behind that effect. In fact, just the heated water alone – without any leaf – is full of energy and a pure joy to imbibe. So too, the tea is alive with organic energy. It comes from soil thriving with natural cycles of life and death. It comes from farmers who care about tea and the environment. In line with all this, the tea is prepared and served in a like manner. But these are only constituent parts of the whole experience. The margins of space between this paragraph are so great that what is left unsaid is all. This Cha Dao experience in its entirety lies in the communion of all parts in the present moment. That’s the beauty and mystery of tea: a simple concert of liquor and leaf offering a symphony of complex sounds, silences, and sensations – and it’s available at the Tea Sage Hut. When you come here, you are welcomed as if at home, along with all of the other tea brothers and sisters who pass through this sanctuary. Unlike home, however, where rent might be expected, everyone here is welcome free of charge, which includes tea, wisdom, room and board, and a moving experience. It is the donations from those who wish for others to receive the same wisdom through Cha Dao that they freely received, which keep this center operating, open, and thriving. Here you can connect with tea brothers and sisters from around the world, and two amazing teachers – Wu De and the Leaf. In my short time at the Tea Sage Hut, I communed with the most amazing people from Russia, Canada, Estonia, and the US. 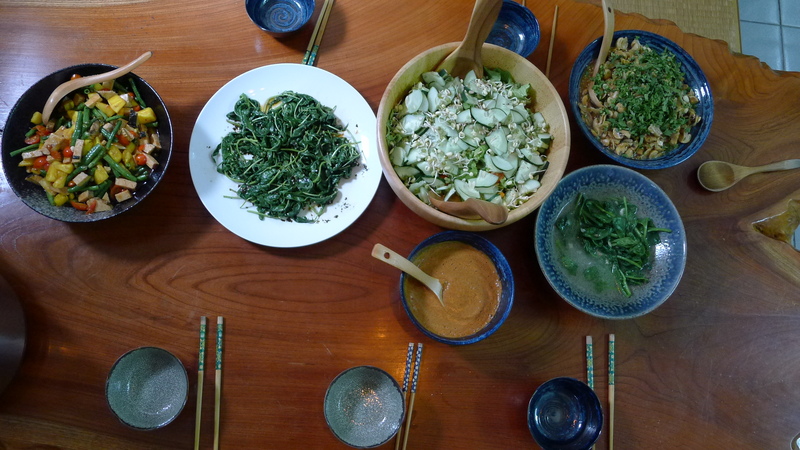 Together, we engaged in sharing bowl tea, supporting organic farmers, meditating, laughing, preparing healthy meals – and all in the name of Cha Dao. It really is amazing that such a place as this exists. 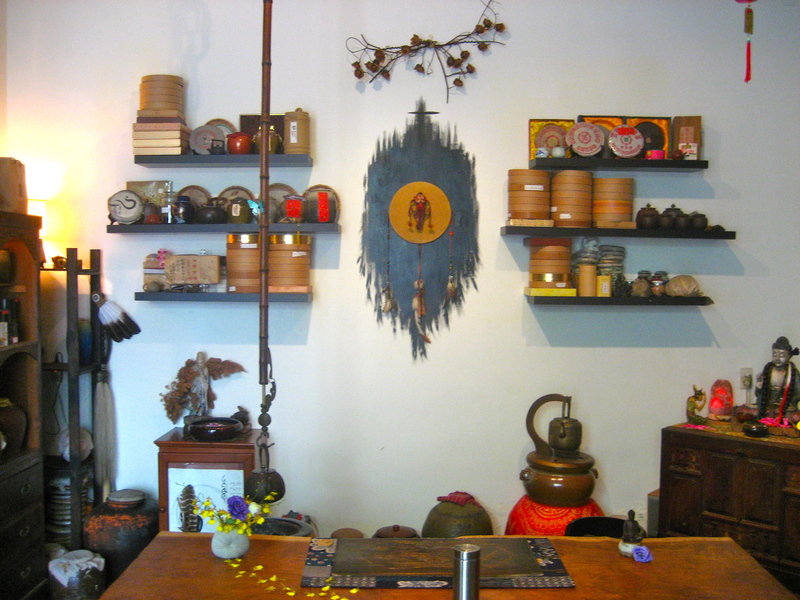 This is a space I’ve always been implicitly looking for, as I think any enthusiast of tea and spirit is. A place to drink high quality tea from high quality ware; a place to cultivate spirit in the company of brothers and sisters from around the world; a place of solace and sanctitude; a place in tune with Great Nature; a place free of charge, open to all, and offering movie night on Fridays! Before coming here, it really was only a distant fantasy that this wayside hut existed; something I could only ever have read about in books or seen in videos; a point in time I would have only imagined to exist well into my future. 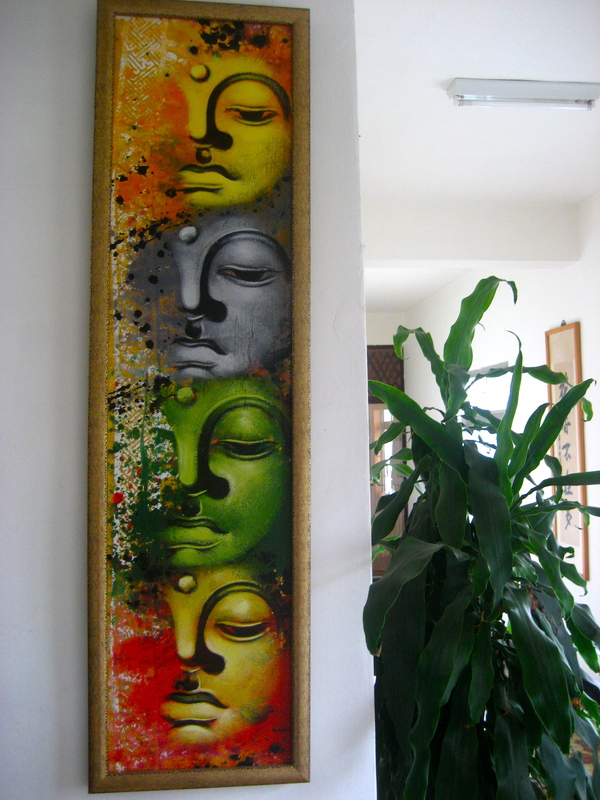 But here I am, right now in this moment, at this very center – experiencing this dream…. For those of you who can’t make it to this physical hut in person, there is now a thriving Global Tea Hut connecting us all on an even larger scale, which I’ll be writing about in my next entry. Interesting. How long has Mr. Fischer had this tea space? Is it in Miaoli town or Miaoli County? Do you stay there overnight or visit by day? If you are in the area, you are more than welcome to stay overnight; accommodation is free for passerby. I actually stayed over a week. Sounds like ‘home’ to me and every nite is movie nite….did I charge you rent? I suggest regular tea meetings in Taipei. Non-profit and w/o any dogmatic overhead. Simply tea.